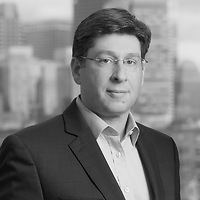 Ian Roffman, partner in the firm’s Litigation Department and a member of the Securities Enforcement and Litigation and the Government Investigations and White Collar Defense practice groups, presented at the “Risk Management & In House Counsel” education program at the Association of Corporate Counsel (ACC) and Boston University School of Management on October 16 to 18. Ian presented on Transaction Litigation and Risk Management, Crisis Management, Fraud and Government Investigation Risk. Topics included discovering how to reduce the risks of your company's deals-- before, during and after they close; learning to improve results and reduce the overall costs of liability claims and suits; utilizing crisis management case studies to emphasize good and bad management techniques; and developing strong strategy components—from planning and preparedness to stress testing and continuous planning. The three day course was designed specifically for in-house counsel interested in gaining a greater understanding of risk management principles, measurement techniques, and practical application. In addition, the program cut across multiple industries and covered the fundamental risk management building blocks, including risk awareness, measurement, reporting and adequate policies, procedures, and controls.